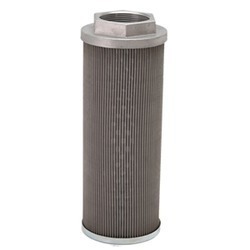 Pioneers in the industry, we offer hydraulic strainer from India. We hold expertise in manufacturing and supplying quality approved range of Strainer that is fabricated with utmost accuracy. Our entire product range is durable in nature and requires minimum maintenance. With the assistance of skilled and dedicated professionals we are able to cater diverse requirements of the clients in most efficient manner. Moreover, we offer customization facility of the entire product range.